EURUSD is not going to be volatile due to holiday in China, UK and the US for different reasons. 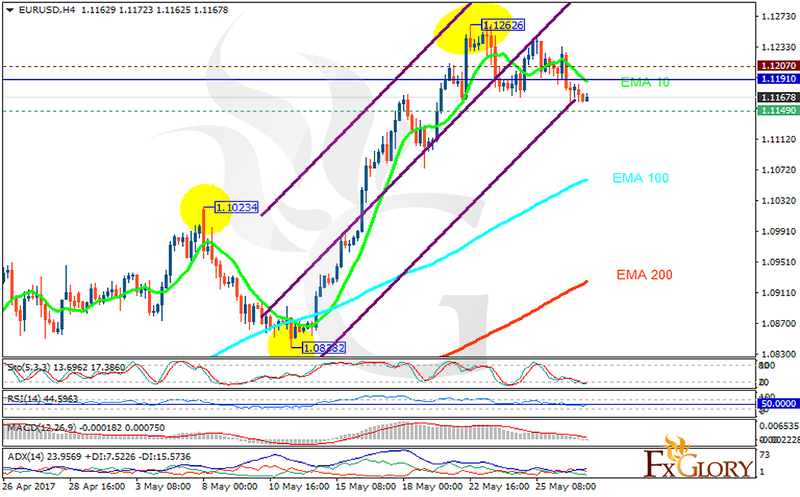 The support rests at 1.11490 with resistance at 1.12070 which the weekly pivot point at 1.11910 is located in between the lines. The EMA of 10 is moving with bearish bias and it is above the EMA of 100 and the EMA of 200. The RSI is rising towards the 50 level, the Stochastic is moving in low ranges and the MACD indicator is in neutral territory. The ADX is not showing any clear signals. There are no enough signals for traders to make up their minds therefore it’s better to wait for better signals.